provide solution related to hearing ………. 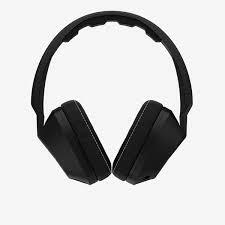 Used for hearing sound to those people who has hearing loss.hearing aids are available in different type and size According to there size we need hearing aids batteries which has good power and battery life.In india hearing aids battery are available at different place at different amount. Average life is 109.1 hour and size675 battery average life is 172.4 hour. There are different size of batteries are available in the market in various size and power they are paste with different color . Size10 paste with yellow color,size312 paste with brown color ,size13 paste with orange color and size675 paste with sky blue color sticker on the basis of there color coding we known about different size of hearing aids batteries. According to there shape and style hearing aids are different types like as hearing in canal,Behind the ear, in the canal,receive in canal,invisible in canal,Compleatly in canal,Behind the ear with extra power. Generally batteries are available at different store,electronics shop,grocery store and through online you might also choose to purchase battery. 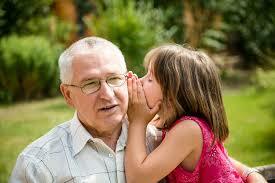 Why hearing aids battery is important ? According to my view hearing aids battery is so important for those people who are suffering from hearing loss and use hearing aids for hear sound they need hearing aids batteries for his machine. Hearing aid battery are main part of hearing aids it just like soul of hearing machine because without this machine does not work so we have some basic knowledge of hearing aids battery. Always use Eco- friendly disposable batteries . I suggest to you should purchase zink air battery or button cell battery with silver oxide. Hearing is the ability to receive sound by vibrations, changes in the pressure of medium through medium ,organ example ear. Sound may be heard through all state of matter. it is one of the most important senses. 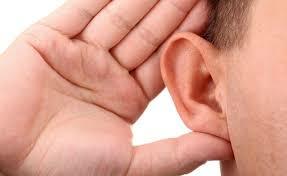 partial or complete inability to hear is known as hearing loss. There are three main part of human ear. There are different type of hearing loss which are listed below. people with mild hearing loss have faces difficulties in conversation with people specially in noisy area. The most quite sound that person with mild hearing loss can hear with their bettter ear range between 25 and 40 dB HL. People with moderate hearing loss have faces difficulty when they are not using hearing aids better hear range of that people is 40 to 70 dB HL. Sound are everywhere at every place at different level. You love or hate depends on its signal to noise ratio. High volume sound is more harmful for your ear. Though we mind that sound is loud or soft.sound wave unit is decibel.protection is better than cure so that we need protection for hearing either hearing loss occure after some time. Normal hearing range of human body is 20 Hz to 20 KHz. Hearing is one of our most important Senses it allow us to communicate with people or to enjoy thing like song etc it’s important to protect your hearing from noise that is harmful for us. Some noise is more harmful for ear which are listed in tabular form 120db is threshold level of pain, our ear start damage at 85db so we need for protection for ear hearing. Noise is one of the most common factors of hearing loss. The cochlea is cover tiny hair which resist sound vibration and change them in to electrical impulse to the brain. when your ear are exposed to loud noise then tiny hair become damaged so that hearing loss occure.therefore it is important to take measure to protect your hearing before it’s too late. high llistening device you have to take protection else chance of hearing loss. Hearing loss may be attributable to the aging method, exposure to noise, bound medications, infections, head or ear trauma, inherent (birth or prenatal) or hereditary factors, diseases, in addition as variety of different causes. Recent knowledge suggests there ar over thirty four million Americans with some extent of deafness.Hearing loss typically happens bit by bit throughout a period of time. folks with deafness compensate typically while not knowing they need deafness. It is delineate by variable degrees, not percentages. deafness could also be delicate, moderate, moderately-severe, severe or profound and vary across pitches. it’s determined by a straightforward hearing take a look at because the quantity of volume loss you expertise compared to a mean of the many different adult listeners with traditional sensory system systems.The volume, or intensity, of sounds you hear is measured in decibels (dB), zero sound unit being the softest whisper and a hundred and twenty sound unit being a reaction-propulsion engine. The softest sounds one will hear area unit known as thresholds.Normal hearing thresholds for adults area unit thought of zero to twenty five sound unit. 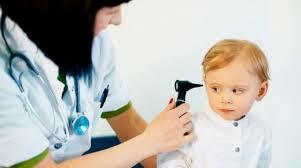 From hearing loss we faces many problem which will occure in human being are listed below. Many people chalk these symptoms up to adulthood. However really, deafness happens in all ages cluster. It’s particularly necessary to catch deafness in youngsters since healthy hearing is therefore essential to language development and learning skills. However adults young and previous additionally have to be compelled to look ahead to signs of deafness in order that they will create the foremost of their quality of life. Hearing is unusual kind of feeling. Your ear is Static piece of equipment on human body. your outer ear catch sound wave and direct them into a complex sensor. As soon as sound wave trouble through ear canal, they make your eardrum and tiny bones vibrate. Nerves in human inner ear pick up on this vibration and turn them into electrical impulse to human brain. Your brain can then identify these sounds such as Speech, music, noise and more.Any problem related to hearing or you need suggestion you can contact our help line number 999 999 9999 or visit hearing solutions. If any of sensory part is damaged then your entire sense of hearing is affected. This is because a part of your ear becomes blocked. Nerves may get damaged sound wave may not be processed properly. Once the vibrations cause the fluid within the tube to ripple, a wave forms on the tissue layer. Hairs cells—sensory cells sitting on prime of the basilary membrane—ride the wave. Hair cells close to the wide finish of the snail-shaped tube notice higher-pitched sounds, like associate baby crying. Those nearer to the middle notice lower-pitched sounds, like an outsized dog barking. As the hair cells move up and down, microscopic hair-like projections (known as stereo cilia) that perch on prime of the hair cells bump against associate superimposed structure and bend. Bending causes pore-like channels, that area unit at the ideas of the stereo cilia, to open up. Once that happens, chemicals rush into the cells, making associate electrical signal. The nervus vestibulocochlearis carries this electrical signal to the brain that turns it into a sound that we have a tendency to acknowledge and perceive. If any of sensory part is damaged then your entire sense of hearing is affected. This is because a part of your ear becomes blocked. Nerves may get damaged sound wave may not be processed properly. Hearing process done through various step that change sound wave into electrical signal. our auditory nerve carries these signal to brain. Sound waves enter the outer ear after that pass-through a narrow gateway which is called the ear canal, which leads to the eardrum. The eardrum vibrates from the incoming sound waves and sends these vibrations into three tiny bones in middle ear. These bones are called as malleus, incus and stapes. The bones in the middle ear amplify, increase sound of vibration and send them into cochlea, snail shaped structure filled with fluid in the inner ear part. An elastic partition run from starting to the end of cochlea, dividedin to upper and lower part. This partition is called the basilar membrane because of it serve as the base/ground floor, on that key hearing sit. Hair cell near the huge end of snail-shaped cochlea detect higher-pitched Sound who are closer to the centerdetect lower pitch sound Example of this one dog barking. The auricular nerve carries this type of electrical signal to the brain which are converted into a sound that we remember and understand. I think this information is helpful to you regarding hearing or hearing loss related problem .